Jim Short Figurines You’ll Love for Halloween! 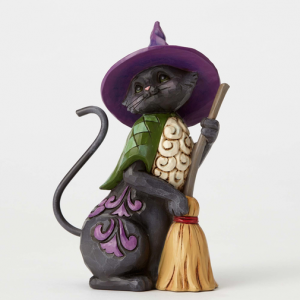 Black Cat Crossing: Featuring a carved black cat holding a broom while wearing a cape and witch’s hat, this playful and detailed Jim Shore figurine is perfect if you have a cat of your own at home or wish to get into the spirit of the season without being too spooky! Hoot ‘n Howl for Halloween: A decorative witch holds up her owl friend over a plump pumpkin in this colorful figurine. You’ll love the stars on her hat and patchwork cloak she’s wearing as you display her next to your own collection of miniature pumpkins and gourds. Welcome Great Pumpkin: Celebrating 50 years of It’s The Great Pumpkin, Charlie Brown, this figurine shows Linus in the pumpkin patch with a “Welcome Great Pumpkin” sign. Did you know that it also lights up and glows in the dark? It does! 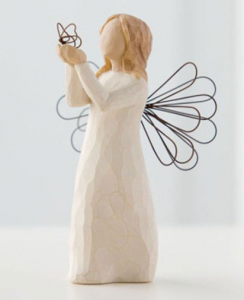 Create a display of several on a fireplace mantle or end table, or put them out individually in several spots in your home to carry through the Halloween theme! You can’t go wrong when you’re looking to add a bit of holiday flair to your interior.